The signals from the recent Bersatu’s (Pribumi's) Federal Territory convention has sent ripples through Pakatan Harapan. First, there was the clarion call made at the meeting for Tun Dr Mahathir Mohamad to continue as Prime Minister for the next five years. 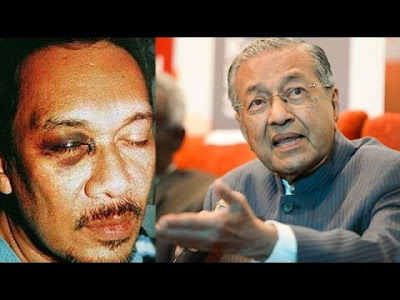 Second, the person making the call was no less than the Setiawangsa division chief Zahid Md Arip who is also the political secretary of Dr Mahathir and a grandson of the late Tun Ghafar Baba. It was quite apparent that Zahid had the “authorisation” to make the bold proposal on this ultra-sensitive subject. Third, the FT convention was officiated by no less than Bersatu (Pribumi) president Tan Sri Muhyiddin Yassin who used the occasion to deliver a no-nonsense message that Bersatu (Pribumi) represents the Malay and intends to be the guardian and voice of Malay rights and interests. Moreover, just a few days earlier, Muhyiddin had openly censured and contradicted his Youth chief Syed Saddiq Syed Abdul Rahman for claiming that ketuanan Melayu or Malay supremacy was a thing of the past. Bersatu (Pribumi) is preparing to replace Umno as the party of choice for Malays even as voices of protests trickle out from its partners in the government. And according to Kelantan Bersatu (Pribumi) chief Datuk Kamaruddin Md Noor, Dr Mahathir will be in Kelantan next week where some 10,000 ex-Umno members will be joining the party. “This is only the start. I believe more will follow elsewhere in the coming months,” said Kamaruddin. 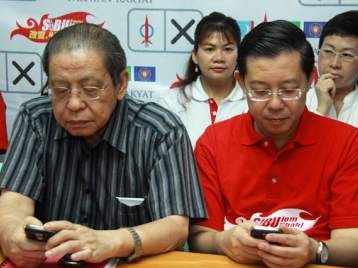 Expansion is natural in a political party but Bersatu’s (Pribumi's) move to recruit ex-Umno leaders and members has set off alarms in Pakatan. Pakatan won the general election on a hate campaign against Umno and they will look like hypocrites now. “The reason why we are here is that the people rejected Umno,” said PKR politician Lee Chin Cheh. On the other hand, Bersatu (Pribumi) is a splinter Umno. If Pakatan partners could accept that, why the fuss now about more Umno people coming in? The Bersatu (Pribumi) recruitment exercise has also resulted in all sorts of jokes about Bersatu being the recycle bin for ex-Umno members and that it is an “Umno 2.0” in the making. But the most damaging joke is a photo of a Bersatu (Pribumi) membership kit comprising a red shirt and umbrella, with the caption, “Escape SPRM investigation Starter Pack”. The implication was that Umno leaders can escape corruption charges if they join Bersatu. Only a few Pakatan political underlings have expressed concern, none of the top guns has dared to speak out. They are probably quite afraid of Dr Mahathir who, at 93, can still freeze you out with one look. Besides, being in power is a lovely feeling and no one wants to rock the boat. 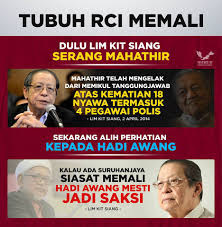 More recently, 31 NGOs with links to Pakatan warned Dr Mahathir against manipulating the government machinery amid speculation that Umno would be deregistered and Umno members would be absorbed into Bersatu (Pribumi). Former Jelutong MP Jeff Ooi had written about what he called Mahathir’s “expansion mode” in his Sin Chew Daily column. 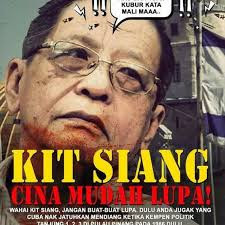 “(Lim) Kit Siang is taking a wait-and-see attitude although I can see he is very worried. 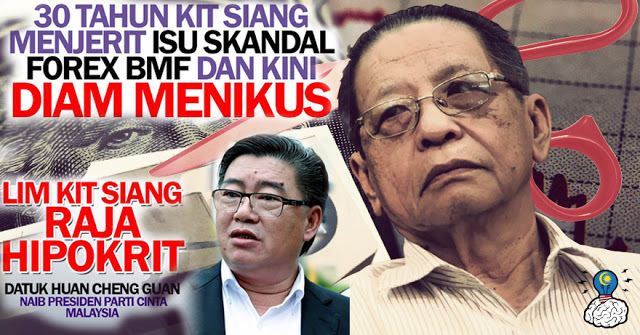 “It’s really up to Anwar (Datuk Seri Anwar Ibrahim) to come up with a solution,” said Ooi. Indeed, the circle around Anwar see the call for Dr Mahathir to go full term as aimed at blocking Anwar from the premiership. There is suspicion in the air and the Anwar camp will not take it sitting down. Anwar did not rush into the Port Dickson by-election to wait five years to move up. 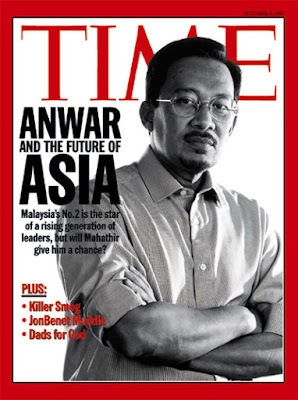 Anwar has been extremely strategic this time around because as the saying goes, once bitten twice shy. He tells himself that he has to exercise the patience of a saint. He has been very respectful and generous in his public comments about Dr Mahathir, insisting that he has forgiven and now trusts the elder man. 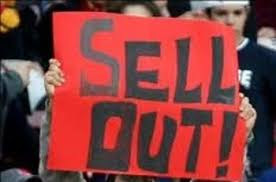 But the same cannot be said for their respective supporters down the line. Some of them have gone on the offensive in what is seen as political shadow-boxing. For instance, PKR’s Sungai Petani MP Datuk Johari Abdul wants Datuk A. Kadir Jasin, a Bersatu supreme council member, investigated for sedition over the latter’s comments on the Sultan of Kedah. 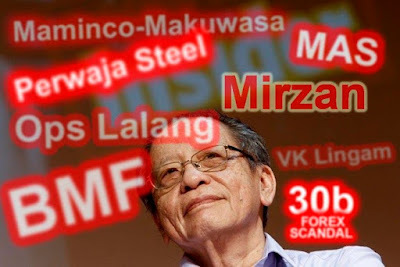 Kadir, known to be close to Tun Daim Zainuddin, had also made a veiled criticism about Anwar in his blog. The Mahathir camp thinks Anwar is in too much of a hurry. They thought that pictures of Anwar jogging on the beach was to send a message that he is younger, healthier and will live longer. They have also been watching his “Asean tour”, a courtesy call to countries that are important to Malaysia. He was given the VVIP treatment by President Joko Widodo and was conferred an honorary degree in Manila. He gave a talk in Singapore where they are once again eagerly examining him as the prime minister-in-waiting and where he privately met a string of Singapore ministers. But his most significant trip was to China where he said all the right things to soften the hearts of his hosts. China had a rocky start with Dr Mahathir and they probably see a smoother relationship with Anwar. Political succession is a thorny issue even in the best of democracies. The Mahathir-Anwar succession had started on a cordial footing but the path ahead gets less clear everyday. Bersatu’s (Pribumi's) fishing expedition in Umno waters is pushing up the suspicion meter. “The spears have started to fly but it is unclear how the tensions between the two sides will work out. “Anwar may have to take the bull by the horns,” said Ooi. As a medical doctor Toonsie knows the danger of receiving a blood transfusion from a HIV-positive donor. The result? Incurable AIDS. 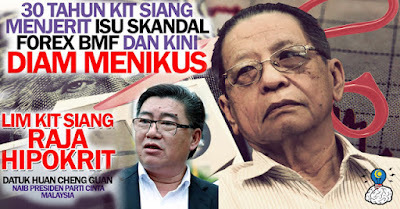 "MACC investigating PKR over phantom members"
"EXPLOSIVE FINDING! - 4G & WIFI JAMMER FOUND AT PKR KUALA SELANGOR ELECTION SITE "
Was it a PKR rival faction which put the jammer there or outsiders and why did whoever who put it there not remove it to avoid it being found? Or did whoever leave it there so that it would be discovered and cause more dissension within PKR - i.e. throw a cat amongst pigeons? The WiFi jammer was (too conveniently ) found on the floor between two rows of chairs. It was not even clear whether it was powered up or had a power connection, let alone being actually utilised. This smells of a False Flag operation by 3rd Parties keen on disrupting the PKR polls. 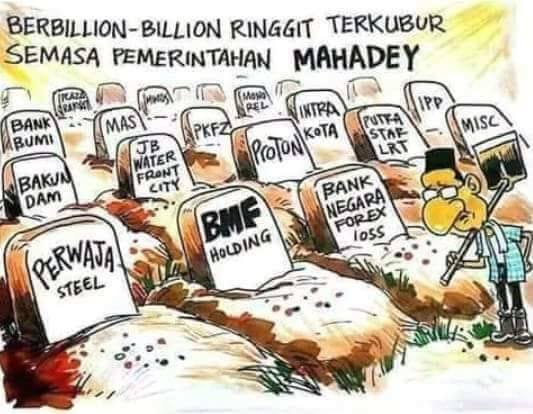 10 tahun Ktemoc DIAM TIKUS mengenai skandal salahlaku Najib , termasuk 1MDB , kini menjerit setiap hari tentang kerajaan Pakatan Harapan. Untuk Tikus Ktemoc, Najib hanya "naughty" la, hihihihi. You berapa lama diam tikus mengenai Pakatan? Pakatan Harapan hanya berkuasa 6 bulan. Setakat uni tidak ada bukti salahlaku pemimpin kerajaan Pakatan Harapan. Polemik politik dan perbezaan pendapat memang banyak...itu biasa saja. "Phantom voters: MACC arrests PKR division chief"
"Mohamad Fadli - November 3, 2018 3:40 PM"
RM1. 2 billion allocation to JAKIM eh.. ain't that religion in politics? That 13 + 11 are Malays and Muslims. Certainly they are not idiots. Who are the stupid idiots then? A classic example of heads I win, tails you lose. The right question to ponder - Is the jakim now the same old jakim? Where r the old petrified zombies of the jakim then? Mamak has retired them ALL! The left-behind young zombies, within the jakim, r habitually looking for guidances & directions. They have not been through the true zombieic bath of fire, so can be easier to de-zombiefied . Their number is however huge due to years of cultivation by the petrified old zombies. Thus the larger allocation for the cold turkey de-zombiefication. That 13 + 11 are Malays and Muslims BUT not ALL of them r zombies. Only the one, who assumed ALL of them r zombies/zombie sympathizers, IS the stupid idiot, period. Who wins? I think it should be your grandmother! Tsk… tsk… really my seed money going to waste le. Beware those young ciku under his care. U all have been conned by a titled front-loader snake oil marketeer of zilch content. The gnashing of teeth, the bended bleeding knees, the pleading for forgiveness, penance of a thousand Our Fathers and Hail Marys .....aahhh...maybe better to just stay in UMNO lah. BN elected representatives are not permitted to join Bersatu en masse and will instead be subjected to vetting, said Bersatu chairperson Dr Mahathir Mohamad. He said they would have to first leave their party and become independents before their applications would be considered. “If they leave the party and become independent, and they support the government, and they appeal on bent knees (saying) that they want to join us, we may consider. “Not those people who’ve got a charge against them […] We will see the quality of the people who want to join; not all of them are guilty. “Those who had been leaders who openly and outspokenly supported the theft, that won’t do. But for ordinary members who just want to be elected representatives and are not subject to any (legal) action, we will consider that. “There would be no such thing as automatic joining,” he told a press conference after chairing the Pakatan Harapan presidential council in Putrajaya today. 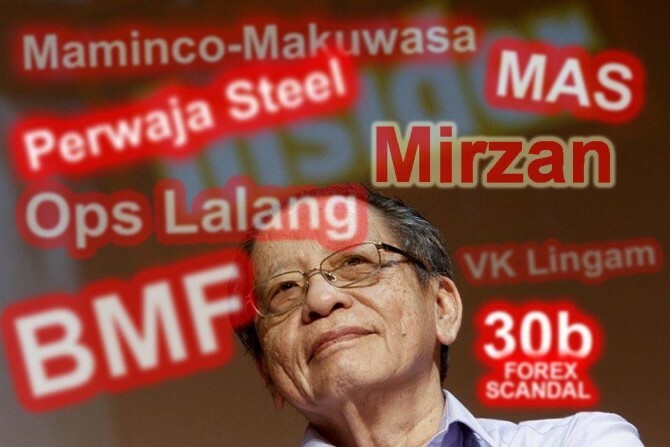 Koh Jun Lin | Published: Today 7:41 pm | Modified: Today 8:49 pm"
"Dr M sympathises with Tony Fernandes"
Maybe another 40 of the same more or less excuses? How handy?